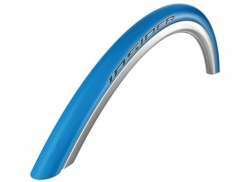 The largest and most affordable Online Tacx Trainer Tire Shop! Tacx Trainer Tire shop the largest and most affordable! Do you want to buy Tacx Trainer Tires online? Hollandbikeshop.com has the Tacx Trainer Tires you're looking for. 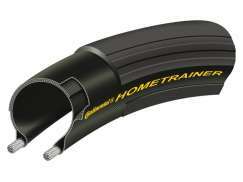 You might wonder whether you actually need special tires for your bicycle trainer. The forces your bicycle tires deal with outside are not that different from those they deal with when you're cycling on your trainer. Still, your regular bicycle tires will suffer wear sooner when you're using your bicycle trainer and that's why we advise the use of these special tires for your Tacx bicycle trainer. At Hollandbikeshop.com you can find a wide choice of Tacx Trainer Tires, by Tacx as well as brands like Schwalbe and Continental. The special compound in bicycle tires for trainers cause less internal resistance, making them particularly suitable for bicycle trainers. In our wide range of Bicycle Trainers and parts on Hollandbikeshop.com you can find Tacx trainer tires in various colors, sizes and models. So you'll certainly find the bicycle tires for the cycling trainer you're looking for. Hollandbikeshop.com is a dealer in Tacx Trainer Tires and has a large and affordable range. We also often have Tacx Trainer Tires on sale or in our outlet, so keep an eye on our sale button. The largest and most affordable Tacx Trainer Bicycle Tires bike shop!